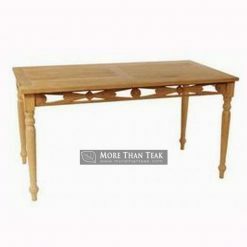 Regular extending table is a wooden table for those who like the simplicity and practicality. This table is a folding table, with two functions. 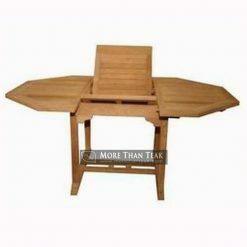 Has a function as a dining table for many people, but it can also be folded up small shape. 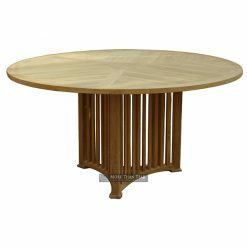 Made of teakwood of superior quality, this table is unique because it can be changed to suit your needs. 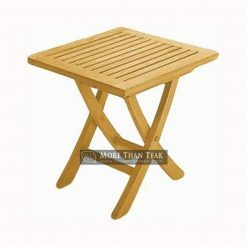 Extending table is easily stored in your storage is suitable to put in your garden and outdoor patio. The materials used in its manufacture using teak from Indonesia’s tropical forests. 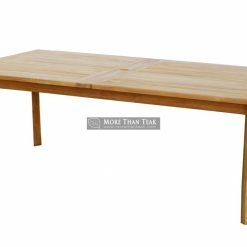 With the shape of a rectangular table, the table is large enough for your dining needs. Your family will surely love. Beautiful and elegant design that will make you proud of it. 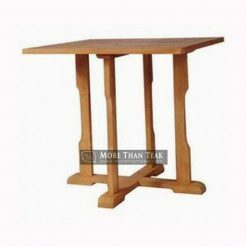 The design of the table legs legs extending rectangular table lets you put things on the table safely. 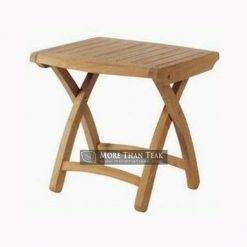 The whole process of design to the manufacture of teak furniture we do carefully and seriously. 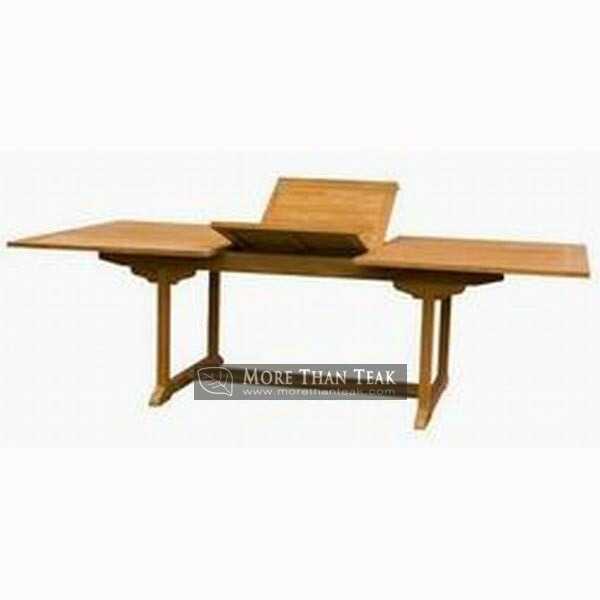 Only experts teak furniture we experienced in teak wood furniture industry in Indonesia. 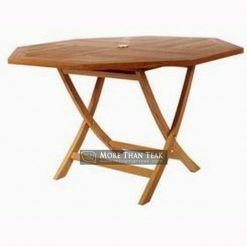 Besides, we also make the process of polishing the perfect order of this table remain durable in all weather.